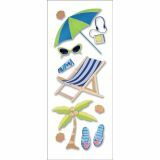 A Touch Of Jolee's Dimensional Stickers - EK SUCCESS-Touch Of Jolee's Dimensional Stickers: A Day At The Beach. You've got to Sea these! 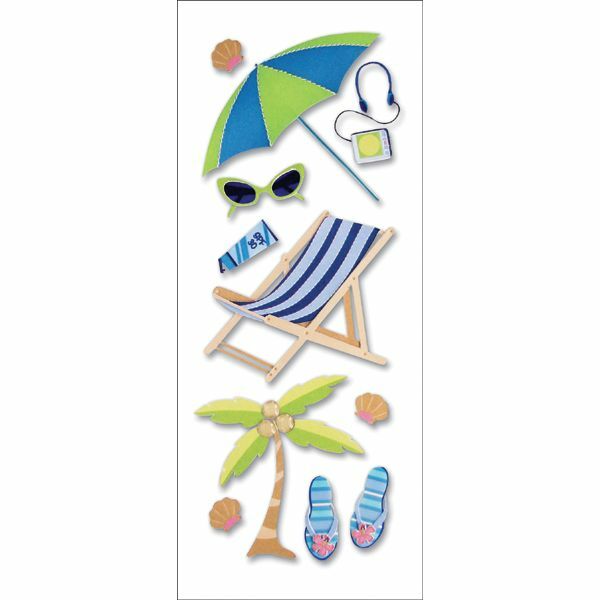 From play time to relaxation each package features a collection of designs for creating an enchanting beach themed scrapbook layouts, cards and paper craft projects. The same quality and detail of Jolee's Boutique dimensional stickers with elegant touches of layered paper, textural accents and glitter. This package contains one 6-3/4x2-5/8in sheet of stickers (size, shape and number of stickers varies). Imported.